Technology is fundamentally altering education. Access to mobile broadband allows teachers to enrich the student experience and expand lessons beyond their classrooms with a new generation of educational tools. Yet, currently fewer than 30 percent of schools have the broadband they need to teach using today’s technology. By launching its ConnectED online application today, AT&T is taking a step toward making this access available to more Title 1 middle and high school students. In February, AT&T committed to be part of ConnectED, a White House initiative to connect 99 percent of classrooms to next-generation digital learning by 2017. 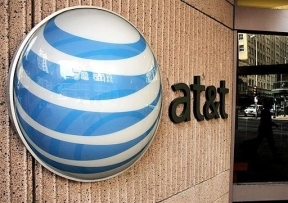 AT&T has pledged $100 million to this initiative. The funds will provide 50,000 middle and high school students in Title 1 schools free Internet connectivity for educational devices over the company’s 4G mobile broadband network. Schools and districts can determine their eligibility and apply for the program by visiting AT&T Aspire. The online application and selection process is being administered by Connected Nation, an independent, non-profit organization. School applications will be evaluated in three phases, with Phase 1 applications due on July 15, 2014. Phases 2 evaluations will commence in Late Fall 2014, while Phase 3 will take place in Late Spring 2015. Participation in this program is contingent on FCC e-rate compliance requirements, and federal, state, and municipal procurement frameworks that will not prohibit or extend these types of initiatives. Eligible school locations will be subject to network congestion, availability, and performance criteria.